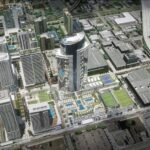 Is Paramount Miami Worldcenter your biggest project to date? Yes it is. It’s a huge project. I can’t imagine that it wouldn’t be anyone’s biggest project in their career. There are days when I am like, “That’s it, end on a high note.” But you can’t throw away an almost 30-year track record. So I am continuing on. 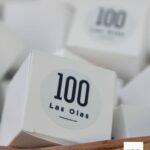 100 Las Olas. 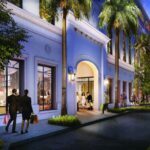 Fort Lauderdale’s tallest building — 499 feet — at 200 E. Las Olas Boulevard will also be the city’s first luxury residence building in over a decade, as well as the only for-sale condominium downtown. 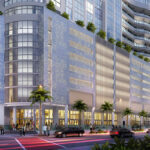 Boasting 121 luxury residences and and 238 hotel guest rooms, it offers four unique floorplans, ranging from 1,501 to 2,964 square feet. Leisure features include a resort-style pool, day cabanas, modernized fitness center, expansive outdoor plaza, casual news room and entertainment areas. 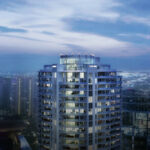 This building is being developed by The Kolter Group. En diciembre pasado, Colombia encabezó la lista de mayores búsquedas en la web, para la compra de vivienda en Miami. Venezuela, Argentina y Canadá, también se encuentran en los primeros lugares de este listado de acuerdo con un nuevo informe de la Asociación. 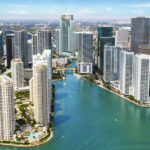 “El mercado inmobiliario de Miami se encuentra en un momento estable sin expectativa de alza hasta 2019 y sin riesgo de burbuja inmobiliaria”, afirmó Peggy Fucci, presidenta de OneWorld Properties. 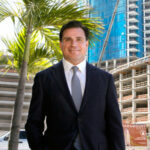 Currently under construction, 100 Las Olas will be Fort Lauderdale's tallest condominium tower. Inside, the hotel will have 238 guestrooms, a lobby-level restaurant and bar with indoor and outdoor seating. Starting on the 16th story, the building will also have 121 condominium residences as well as an additional 8,500 square feet of retail and dining space with outdoor seating on the first floor. 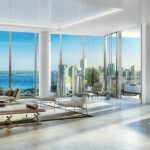 Unit prices will start at about $250,000. OneWorld Properties is handling sales of the units, which will range from 425-square-foot studios to 700-square-foot two-bedrooms, according to the project’s website. OneWorld Properties, led by Peggy Fucci, will handle sales. Motwani: Each of the vertical buildings has retail at the base. That’s 360K SF all being leased and managed and owned by Forbes/Taubman Properties. They did the Waterside Shops in Naples. There’s 100 years of retail experience between the two groups. It’ll be designed, leased and managed as one big neighborhood. Each building is designed by a different architect, so it won’t feel like Disney, yet it will have a unified feel, like a city within a city. We’re not going to to have a Macy’s or Bloomingdale’s or a traditional department store anchor. Forbes and Taubman are in active conversations right now with retail and restaurants. 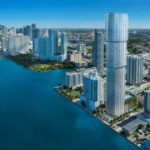 O executivo, que também administra as vendas do segundo maior empreendimento imobiliário dos Estados Unidos, o Paramount Miami Worldcenter, diz que o perfil do comprador também mudou. “Outra tendência é que vimos um aumento nos clientes que compram não só para investimentos, mas também para uso pessoal”, observa. 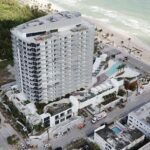 Peggy Fucci, president and CEO of the project’s exclusive broker One World Properties, said 92 of the 95 condos have been sold and closings have been proceeding quickly. Most of the buyers are second homeowners from the Northeast U.S. or Canada. There were also some South American buyers with existing ties to Broward County and some suburban Broward residents who wanted to downsize in a beachfront location. Every condo unit in the building is designed to feel spacious, with amenities like dual walk-in closets and massive master bathrooms. Building amenities include poolside cabanas, a gym, club room, and two guest suites for visitors.